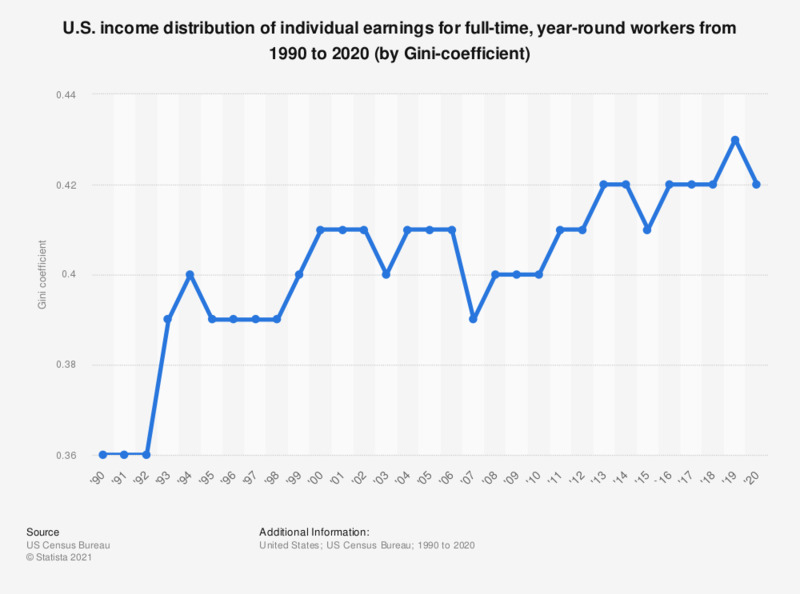 This statistic shows the Gini coefficient, an index for measuring income distribution, for individual earnings for full-time, year-round workers in the U.S. from 1990 to 2017. A Gini coefficient of 0 expresses perfect equality, where all would have the same income,a Gini coefficient of 1 expresses maximal inequality among values. In 2017, the Gini coefficient for individual income was 0.42.